To maximize battery life, your product current draw must be kept to an absolute minimum. This requires that you use low power components and efficient techniques to de-energize components when they are not in use. 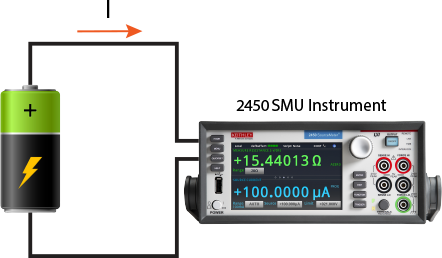 You need sensitive measurement instrumentation to measure current levels as low as nA. Watch now to learn how to solve the IoT measurement challenges. How low can the battery voltage drop before your IoT device turns off? Gauging battery performance at different stages of battery discharge is difficult, as it requires instrumentation that can accurately simulate battery performance. To address this, Keithley’s 2281S-20-6 Battery Simulator makes it easy to model any type of battery. It allows you to efficiently test prototype IoT devices in any battery state, with high repeatability to effectively estimate battery life. Combining a 2281S-20-6 Battery Simulator with a DMM7510 Graphical Sampling Multimeter will give you a complete solution for assessing power consumption and battery life of your IoT prototypes. The final piece of the puzzle is to create a model for the battery that powers your IoT device. Keithley’s 2450 or 2460 Graphical SourceMeter® Source Measure Unit (SMU) instruments make it easy to create the model for the battery used by your product. A battery model-generating script operates the SMU instrument as a controlled current load and derives the model parameters. Learn about the latest test solutions for evaluating battery life in portable, low-power devices. This video shows how a graphical sampling digital multimeter can capture the current drain in all states of an IoT product from the low power sleep mode to the full power transmit mode, load current burst. This application note provides information on how to characterize the power consumption of a wireless sensor node. The DMM7510 delivers a wide current measurement range, picoamp current sensitivity, high speed sampling, and a 27 million reading memory buffer to measure and store a prototype device’s current profile. 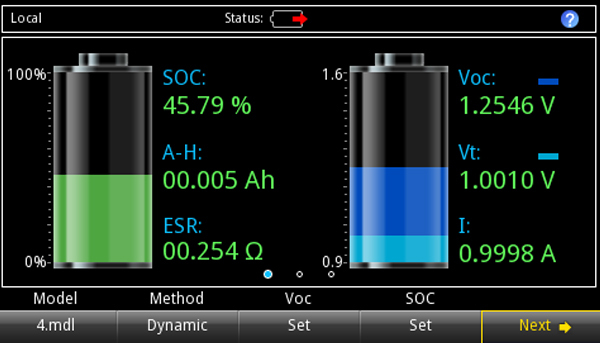 Model any type of battery required to test devices efficiently and repeatably at any battery state. Also ideal for estimating battery life effectively is the combinination of a 2281S-20-6 with a DMM7510 to provide a complete solution for power consumption/battery life assessment. These SMU instruments can operate as a sensitive, electronic load to discharge a battery. In adddition, the SMUs can execute test scripts to monitor battery drain and create a model-generating script that lets them operate as a constant current load and derive the model parameters.